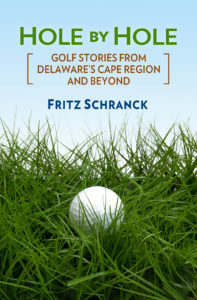 Cape Region golf clubs continue to see some exciting action as the 2010 golf season winds down. For example, The Peninsula Golf & Country Club near Millsboro recently saw two holes-in-one on the challenging Jack Nicklaus design. Neal Maurer, Assistant Golf Professional at The Peninsula, reported that Bob Phillips made an ace on the 158-yard par-3 thirteenth hole on October 16. Phillips used a 7-iron for his memorable shot. Maurer also wrote in to tell us that on October 19, Howard Mitchell used a 3-hybrid to make his hole-in-one on the 180-yard par-3 ninth hole. Meanwhile, the Kings Creek Country Club Ladies Golf group recently held their closing tournament for this year, using a scramble format. First place honors went to Bernie Reid, Rita Musi, Tillie McHugh and Julie Dickson. Vicki Tull, Jeannine Doan, Terry Derville, and Gail Petron combined for a second place finish. Third place went to the team of Pat Sernyak, Mary Mezger, Prabha Karapurkar, and Kathy Nave. The Kings Creek Ladies also held their closing meeting at the tournament, and elected new officers for the 2011 season. Prabha Karapurkar is President, Faye Slatcher is Vice-President, Nancy Barlow is Secretary, Marybeth Merolla is the Treasurer, and Sherry Pie will serve as Tournament Chair. The United States Golf Association’s Rulings of the Day give its web site readers a glimpse into the vagaries of the human psyche, as altered by the sport of golf. One recent decision emphasizes that there is a time and place for everything, including practice. The situation involved a golfer who had to wait his turn on the putting green for another player to finish their putt, before he could make his own. After marking and removing his ball from the green, however, the golfer apparently decided that right then and there was the perfect occasion to practice a few putts on the putting green fringe, just off the green itself. Under Rule 7, that counted as an illegal practice stroke, because he didn’t wait until he finished the hole in regulation beforehand. In match play, he lost the hole. In stroke play, he suffered a two-stroke penalty. There really is such a thing as jumping the gun, it seems. Another recent Ruling of the Day explains the risks of taking a bit too long to take advantage of one of golf’s rare lenient rules. In this circumstance, a golfer’s ball landed in an area that “counted” as ground under repair, but the golfer did not realize this fact until after he played the ball as it lay. After discovering the area was ground under repair, the golfer then returned his ball to the same spot, dropped the ball out of the area as the Rules permit, and then finished the hole from that new location. This was not, as they say, a genius move. If a ball lies in an area of ground under repair, the golfer has the option to play from that spot. Once he does, however, the other option under the rules, to avoid risk and instead gain relief from the ground condition, disappears. When the golfer picked up his ball in play to “replay” the shot from the drop area, therefore, he picked up a penalty stroke. In addition, by not replacing the ball where he picked it up, he earned himself a loss of hole penalty in match play, or a total penalty of two strokes in medal play. There are very few do-overs in life—or in golf, for that matter.